Police are still looking for the second puppy and the suspect. 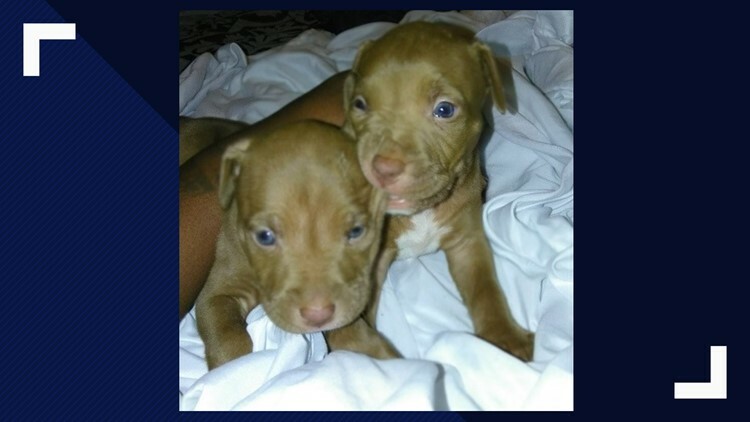 WASHINGTON, D.C., USA — A woman who was robbed at gunpoint in D.C. for her two puppies on Sunday received some good news. One of the stolen puppies was found and safely returned to her on Wednesday. It is not clear at this time how police located the puppy. On Sunday around 12:07 p.m., police say the suspect went up to the victim, pulled out a handgun and demanded the two-month old male pit bull puppies.